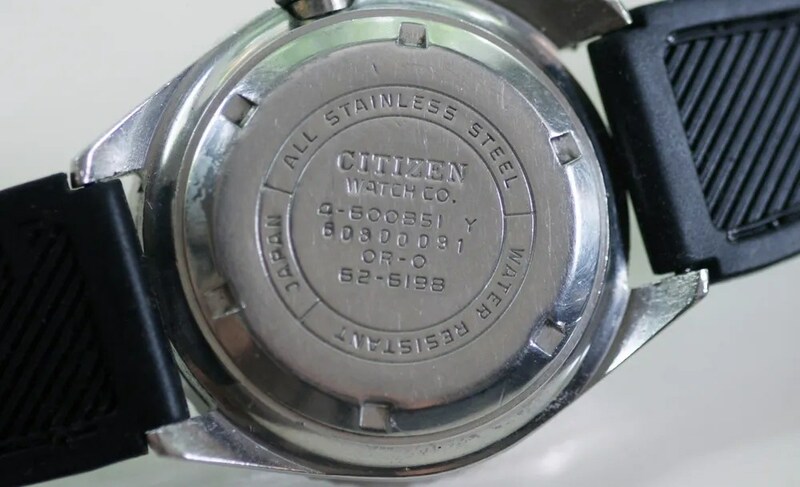 This entry was posted in Vintage Watches and tagged Vintage Citizen Diver, Vintage Citizen Watches. Bookmark the permalink. So I was visiting my parents and was going though a old toolbox and found my Great Uncles watch, he stopped using it in 82 (as Digital was all the rage) and didn’t wear it at all, He passed in 1992 and its been apparently sitting in a tool box ever since, I’m pretty shocked that I found it as I can vividly remember him wearing it, Now He bought it the month I was born (Jan 75) and from the SN I gather it was manufactured in Nov 74 and was the 77th one made that month. Its kinda strange wearing this as it brings back so many fond memories and I want to wear this as my ‘go to’ from now on. (I have dozens of cheap crap chinese watches that look cosmetically good, but wearing this timepiece feels ‘right’) Ok thats the history of it. now for my question! I’ve been wearing it for the last few days and have found it keeps PERFECT time, I’m sort of amazed. Now of course after I retrieved the piece last weekend Ive done endless searches for a new glass and bezel and band, But have come up blank. I SO much want to restore this (Ok Id get the bits and pay a proper watchmaker to fit them, of course keeping the originals) But no Repo bezels since 2013, so It looks like I’m out of luck, Its a pity as the face itself is perfect and the mechanism is also perfect, I’ve searched google and ebay and have come up blank. Now i’m not wanting to restore this to keep in a stuffy glass case as a ‘collectors piece’, I want to restore it so I can enjoy it on a daily basis and sort of re-connect, which My Uncle who I admired a lot! 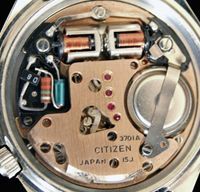 Hi Ade – thanks for your post 🙂 It’s great to hear that you have found your Great Uncle’s watch, not so much because it’s a good watch, but because it gives that nice reconnection with a man you admired. Although it’s not been used for over 20 years, it doesn’t surprise me that it started up and is running well. 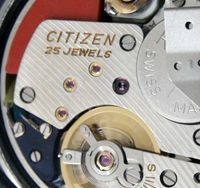 Citizen’s movements from the late 1960s and early 1970s were second to none. 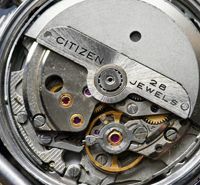 However, I would strongly recommend a full service by a skilled watchmaker who knows these movements, so it can be thoroughly cleaned and fresh oils properly applied. Your are absolutely right that it was made in November 1974. Awesome article. I bought one new, in 1978 in Saudi Arabia. My Uncle was a watchman, and he loved this watch. I paid ~$150 US equivalent at the time. Mine is S/N 60800150, 4-800851 Y just above that. I love this watch. I used to dive with it regularly, late 1970s to early 1980s. Now, wear it, alternating days with my Tissot. However, after having this watch reworked three times, twice by my local highly competent watchman, first time by Gendron’s, it is in critical shape. My watchmaker has given it complete life support for the last time. I missed one on eBay a year or so ago, and it was only about 1,200 serial number off of mine. Love the write up, and thanks. Any idea by the S/N what year mine is? Thanks! Hi Greg, thanks for visiting my blog, and for your kind comments. Great to hear you have owned one of these from new, and used it for its intended purpose 🙂 It was made in August 1976 (from first three digits in the serial number). What do you mean by ‘in critical shape’? Is the movement worn out? Or is it the case and bezel? Or both!? All is not necessarily lost…. Troy is my local watchmaker, and an awesome one at that. I sent it to Gendron’s in RI years ago. They charged an rather high fee compared to local in the Midwest. But, they were tainted as one of the best, and Citizen themselves prior had said they were unable to fix it. A week after return to me, the second hand fell off. I sent it back, and it came back with the second hand on, but kept inaccurate time compared to prior. 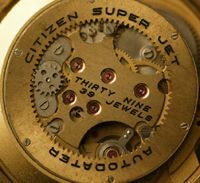 Troy was able to rebuild it, making some parts, like most good true watchmakers often can and have to do. His repair lasted about 6 years or so. When I took it back, he said that repair was probably about it. That was about 3years ago. The case is good, stem is pretty worn, mechanism itself keeps great time still. The self winding mechanism no longer works. I can manually wind it, but the stem also has issues. I’d love to resurrect it. Any suggestions are greatly appreciated. Bought this in ’78 with money from my first job. A diving buddy of mine, a commercial diver, turned me onto this watch. 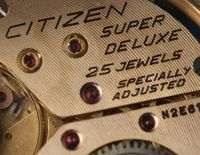 After going through a couple Rolex’s that did not hold up, he had discovered the quality and practicality of a Citizen. My watch has really taken a beating over the years. I use stuff as intended, and don’t trailer things around for show. First of all, great post and pictures. 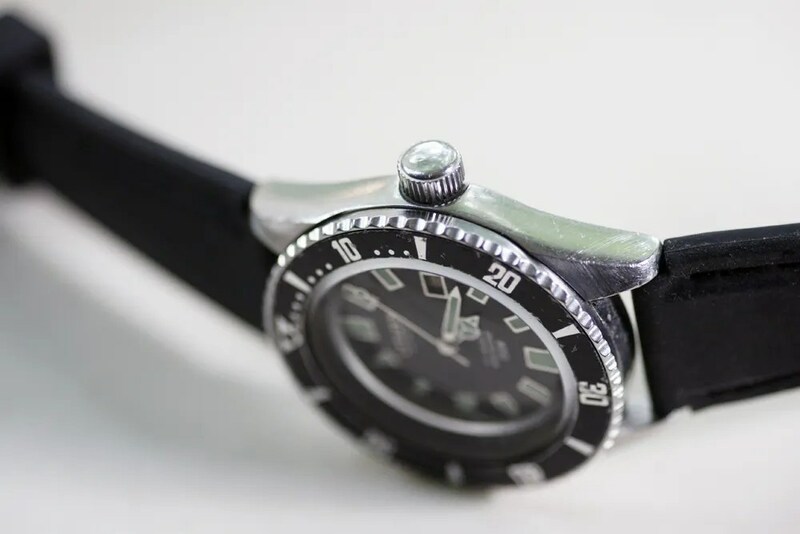 I was looking around the web, for some parts to this watch project i have in hands, The Citizen 62-6198 150m Diver, and i came across your website. I was wondering if you could contact me via e-mail ? Hi Brian, I bought a 62-6198 online and only realized that the second hand isn’t original. Was wondering if you have a spare one lying around. Thank you so much. Hi Gene and thanks for visiting my blog. 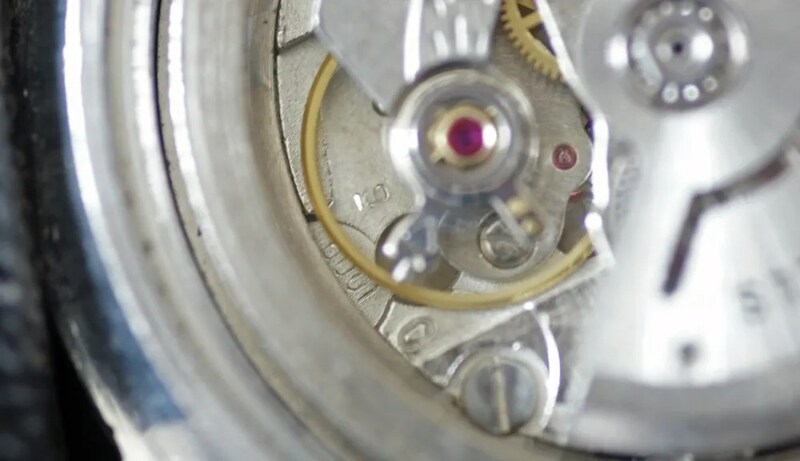 Brian’s work is featured on the blog – he is a master watch maker and doesn’t supply parts. Finding an original second hand is going to be difficult to say the least – casing parts, dials and hands are very hard to come by I’m afraid. You could try posting on the SCWF (Seiko and Citizen Watch Forum), there may be someone there who could help. 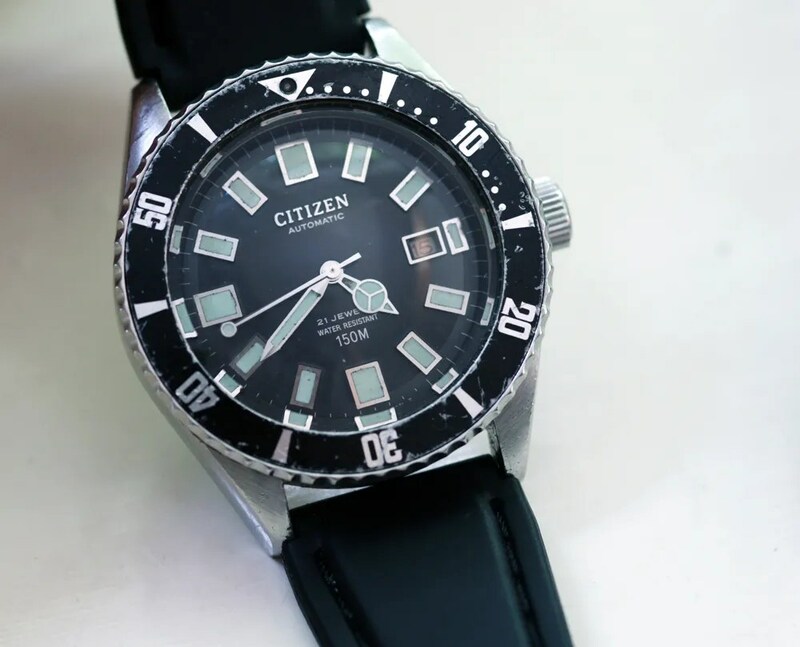 Hi I have recently acquired a citizen divers watch 62-6198 the watch is working fine ,however I would like to fit a new glass and bezel insert .Do you have any spares or would you be able to suggest a supplier . Hi Paul, thanks for visiting my blog. Original crystals and bezel inserts are just about impossible to find for this model these days. Some good copies have been made but I don’t think they are available at the moment. ‘Crystaltimes’ (see first link in my Blogroll) sourced these; he is currently selling sapphire domed crystals that will fit – but they are expensive! I don’t know whether any of the inserts are available or might be in the future, but you could contact Alex at Crystaltimes about that. I found my storage old Citizen 62-6198 which I had got about 40 years ago. Never make any service to the movement. It starting to run fine and has kept time very accurate but this hasn’t bezel ring any more. Do you have or contact or some supplies to find the original bezel? Hi Markku, thanks for visiting my blog. Your English is fine, and way better than my Finnish!! Great to hear that you have still got your 62-6198 and that it is running well. Unfortunately as far as I know, it is impossible to find an original bezel and/or the insert, unless you buy another watch. And these are expensive, especially in good condition. Is the whole bezel ring missing, or just the bezel insert? Thank you for your fast reply and thank you to keeping this very informative blog. Whole bezel ring is missing. That’s true, I have tried to find it from web, there is some inserts but not whole bezel. Just thinking, is it possible to use somebody else watch bezel for this like temporary until I’ll find the original one. It’s not so good looking without bezel ring. Hi Markku, you’re welcome 🙂 I know that a bezel from the slightly later 52-0110 model should fit. This model is more common than the 62-6198 so it is at least slightly more possible to find a ‘donor’ watch. Thank you for your tips Stephen. Hi there, I am from Indonesia & I have the 520110 version, it’s a gift from my dad who bought it in 1978 but the watch itself was produced in May 1977 according to the serial number on the caseback.. The bezel insert, crystal and hands are already worn out and I want to replace it with the new parts, do you know any seller on internet where I can purchase these parts? Many thanks in advance for any information.. Cheers.. Many thanks again for your reply Stephen.. 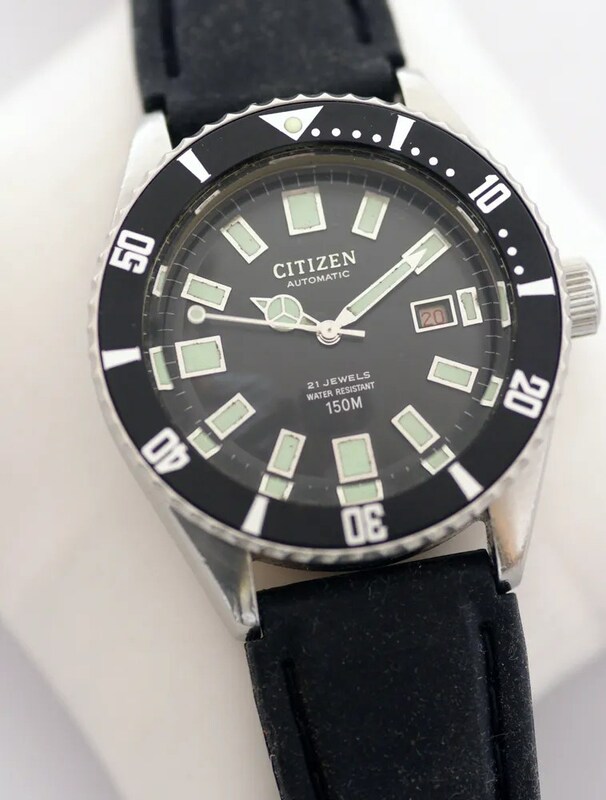 I haven’t seen many comments out there on what other Citizen models might possibly use the same crystal as these vintage divers. 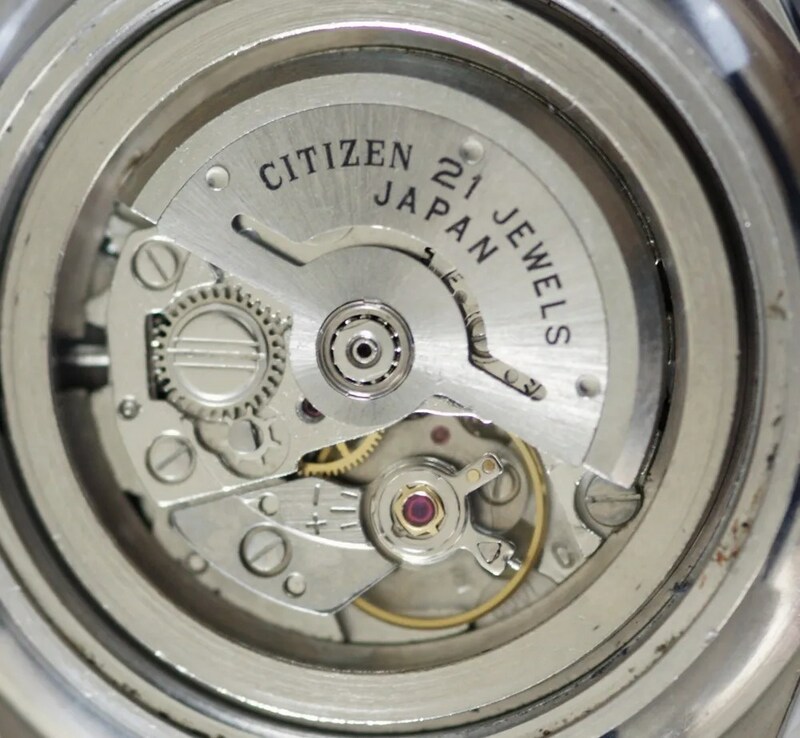 With Seiko, the sought after 6105 crystal was used on a number of models and finding donor watches is one path toward obtaining an original replacement. It would be great to know if something similar exists for Citizens. In any case, excellent information and blog. Much appreciated.